Jump-start your profits and run an exceptionally successful business! 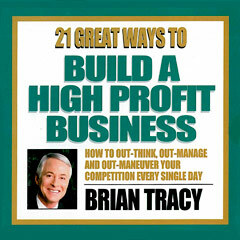 This program packs 21 of the most powerful methods for rapid profit improvement known to the business world. Learn how to join top companies in your industry and help your staff perform better than ever. Rapidly increase sales, cut costs and boost profits with this incredible program!